Withings, a part of the Nokia Technologies, has introduced to the world a new addition to its Activite line of watches, Steel HR. This watch surely brings a lot of style into personal health monitoring, and it is also the first smart analogue watch. Steel HR has all the capabilities of older Steel, but is upgraded with heart rate sensor so you can monitor your hearth beats in a glance. Information is shown trough small circular display at the upper side of the watch screen. Display shows heart rate, calls, messages, burned calories and distance. The advantage of this watch is not only the style and its versatility, but also 25 days of battery life and water resistance up to 50m. Steel HR will be available in white and black and in two sizes of casing, starting from October 1st, at the price of 179.95$ for the 36mm model, and 199.95$ for the 40mm model. 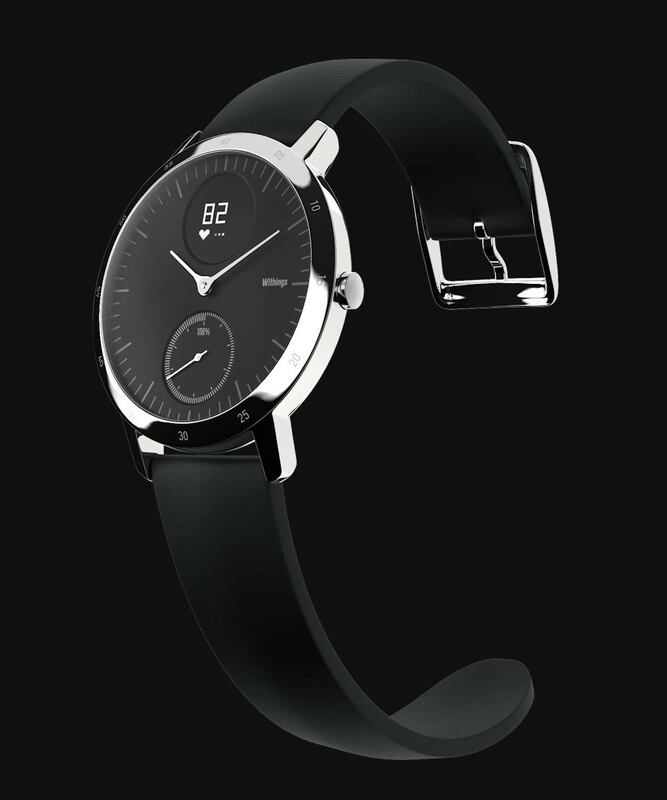 Find more about the beautiful Steel HR at Withings. 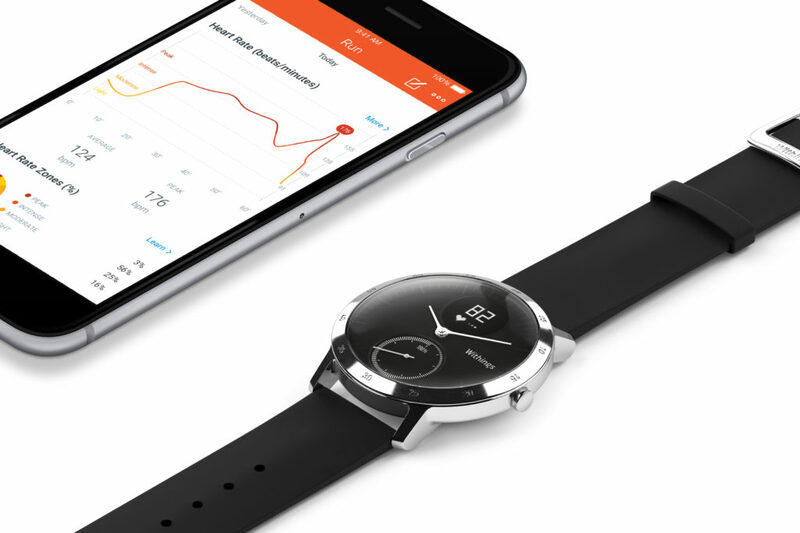 BERLIN, GERMANY – Withings, part of Nokia and a leader in the connected health revolution, today announced an extension to its activity tracker portfolio with the introduction of Withings Steel HR, a connected health watch with fully-featured activity tracking, heart rate monitoring and smartphone notifications. Continuing to spearhead the unique category of beautifully designed trackers within fashionable timepieces, Steel HR marries classic French design with advanced heart rate monitoring and a 25-day battery life. Steel HR can automatically measure continuous heart rate during workouts, average heart rate during the day, and resting heart rate while sleeping, while also offering a dynamic digital screen that displays your overall health data and smartphone notifications. Seamless, Modern Design Steel HR has all the features of a stylish analog watch that users actually want to wear: French design, stainless steel casing, chrome hands, and modern silicone straps. In addition, Steel HR will be available in two sizes: 36mm and 40mm. The standard 36mm case with an 18mm strap will be available in black and white. The new 40mm case will be available in black and comes with a 20mm strap. Like its predecessors, Steel HR features hand dials that show the time and a sub-dial that shows the percentage of personal daily activity goal achieved. The activity goal (e.g. 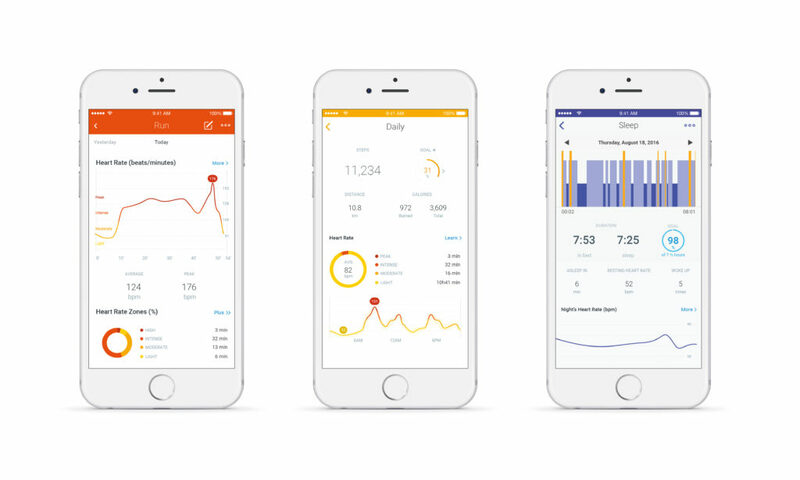 10,000 steps) is set within the free Withings Health Mate application (available on iOS and Android) and keeps users up to date on their progress. Steel HR also boasts a new dynamic digital screen at the top of the watch face, which displays health data and smartphone notifications. Users can choose the information they would like to be shown on this screen through a multifunctional button on the side of the watch. This button allows users to navigate through data options including calories burned, daily steps, distance, sleep duration and smart alarm, and to receive notifications for calls, new emails, texts and event reminders. Best-In-Class Battery Life Steel HR is powered by a rechargeable battery that lasts up to 25 days, the best battery life for a heart monitoring activity tracker available. After approximately 25 days of heart rate monitoring, Steel HR will transition to power save mode, giving users an additional 20 days of battery life. In power save mode, Steel HR will continue to track basic activity, including steps and swims. Holistic Approach to Heart Rate Monitoring Steel HR goes beyond tracking steps by providing users with a more detailed look into their overall health and fitness performance. This is accomplished through a technology called photoplethysmography (PPG), which monitors heart rate using green LED lights to detect variation in the level of blood in the wrist. During a workout session, users can launch a continuous heart rate session simply by pushing the multifunctional button on the watch. Moreover, Steel HR will automatically initiate continuous heart rate while running. During exercise, seeing real-time heart rate at a glance can help optimize workout intensity and can motivate the user to improve performance. Post-workout, user will then be able to view maximum heart rate, calories burned, and a “time in zone” graph directly within Withings’ free Health Mate App. On a daily basis, users can visualize how much time was spent in each heart rate zone, providing a holistic picture of their activity output. At night, Steel HR also automatically monitors the user’s pulse while sleeping to provide resting heart rate – a key metric to assess overall health over time. Automatic Activity Tracking Steel HR, like all activity trackers from Withings, has highly-advanced automatic activity recognition capabilities that detect a wide variety of movements and speeds associated with various activities. For walking and running, the device analyzes number of steps, distance covered, and calories burned as well as the duration of the running session. Steel HR is also water-resistant (5 ATM) and automatically recognizes when the user starts swimming, providing the time of the session and the calories burned. At night, Steel HR analyzes light and deep sleep cycles, as well as wake ups, to give users a full understanding of their sleep patterns. Personal Health Coach The new Steel HR connects to the free, award-winning Withings Health Mate iOS and Android application. Acting as a powerful resource to manage many aspects of everyday health, Health Mate provides detailed information about activity including heart rate summaries, a daily timeline, personalized advice, and advanced food logging capabilities. It even allows users to share their data and challenge friends via “in app” interactive leaderboards and through social media channels. Health Mate also integrates with over 150 top health and fitness apps to further add to the 360° wellness experience. Availability At the beginning of October, both versions of Withings Steel HR will be available exclusively at www.withings.com. The 36mm will retail for $179.95 and the 40mm for $199.95. Retail availability for both versions will follow at the end of October. Withings will be demonstrating beta versions of Steel HR at its booth at Berlin’s IFA+ Summit 2016 (Hall 7.2c / #115). About Withings Withings, part of the Nokia family, leads the connected health revolution. We invent beautiful, smart products and services that help people become happier and healthier. Founded by visionary innovators Cédric Hutchings and Eric Carreel in 2009, Withings was acquired by Nokia Technologies in May 2016, and will accelerate innovation in the digital health space. The award-winning range of Withings products built across the health spectrum includes activity trackers (Withings Pulse, Activité and Go), the Wi-Fi scale and health station (Body Cardio), the Wireless Blood Pressure Monitor, the security camera with air quality sensors (Withings Home), the smart temporal thermometer (Withings Thermo), and an advanced sleep system (Withings Aura). Every piece of collected data comes to life in Withings applications where users can find coaching, motivation, and insights to shape key aspects of their health. About Nokia Technologies Nokia Technologies is Nokia’s advanced technology and licensing business. Formed in 2014, TECH builds upon our solid foundation of industry-leading licensing and technology R&D capabilities. By focusing on Digital Health, Digital Media, Brand Licensing and Patent Licensing, TECH is expanding the human possibilities of the ever-evolving world of technology.